[dropcap]O[/dropcap]n Tuesday, Dec. 15, RBHS Chamber and Concert Choirs held a vocal music concert for the last time in 2015. The concert revolved around Christmas themes in the spirit of the current holiday season. The show was arguably very different than other previous concerts held by choir. Not only did chamber and concert choir receive the privilege of performing together, but RBHS invited middle school choirs from Jefferson and Gentry Middle Schools. Vocal music director Mike Pierson was proud of both choirs’ performances Tuesday evening. He said the concert was very unique compared to other concerts he has conducted in the past. Senior Kelli Johnson said it was a night she wouldn’t forget. 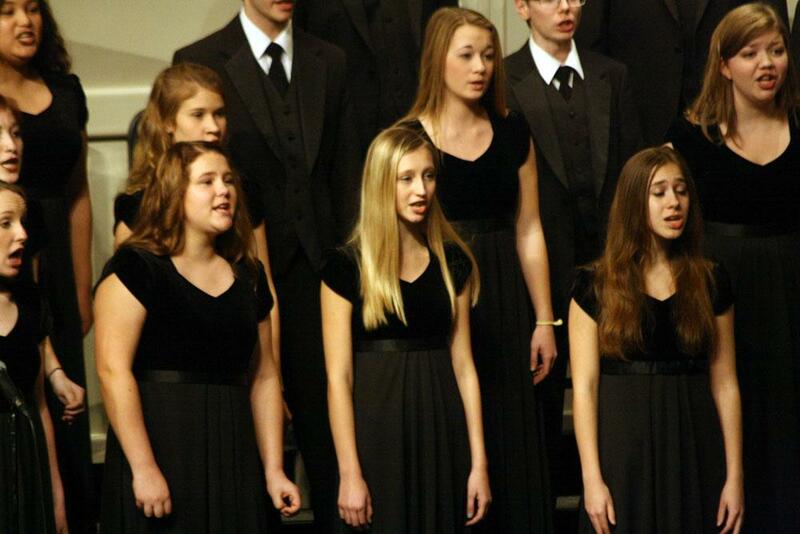 As this is her last year performing in high school choir, this marks her last holiday concert at RBHS. The middle school choir sung a variety of unique ballads, including “Tomorrow Shall Be My Dancing Day” and “Gaudeamus Hodie”. The RBHS choir performed “Veni, Veni Emmanuel” and “Deck The Hall,” along with several other songs from all around the globe. Pierson said the concert, like any other formal performance, was a learning experience for the choir, but he believes the unique circumstances for tonight’s concert made this lesson extra special and hopes it has lasting effects. What holiday performances have you attended? Leave a comment below!